Freshly prepared seasonal mixed vegetables. Simply boil, steam or microwave in the bag. 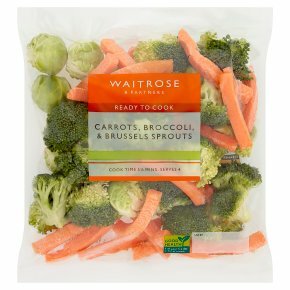 INGREDIENTS: Carrots (40%), broccoli (30%), brussels sprouts (30%).